B.J. Blazkowicz is bringing the big guns in his second outing on PS4. B.J. Blazkowicz returns in an extended prequel to the critically-acclaimed high-intensity shooter Wolfenstein: The New Order. Boasting an impressive new arsenal, including the grenade-launching Kampfpistole and a set of brutal dual-wielding pipes, it’ll be up to you to take down the Nazi war machine once again. With an immersive storyline that spans eight original chapters, the intense first-person combat comes to life as you drive back history’s most notorious villains. Topple never-before-seen adversaries with bone-crunching takedowns and scale your way to victory with B.J.’s new-found climbing abilities. Buy Wolfenstein: The Old Blood on PS4. 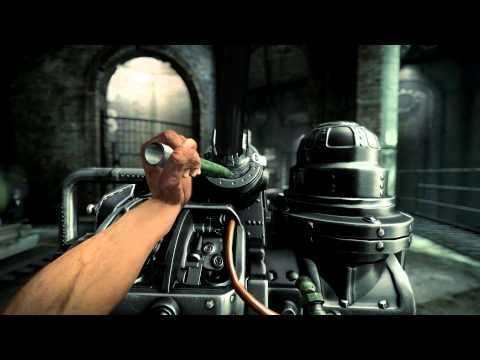 Wolfenstein®: The Old Blood is a fictional story set in an alternate universe in 1946. Names, characters, organizations, locations and events are either imaginary or depicted in a fictionalized manner. The story and contents of this game are not intended to and should not be construed in any way to condone, glorify or endorse the beliefs, ideologies, events, actions, persons or behaviour of the Nazi regime or to trivialize its war crimes, genocide and other crimes against humanity.